Halloween is fast approaching (seriously, where has the year gone?!) and I don’t know about you, but I still don’t have my costume figured out (if I go as a “cowgirl” one more time, my friends will disown me). 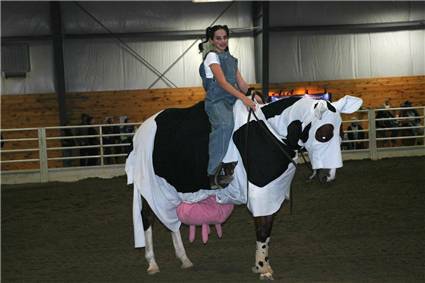 So I turn to you, friends of SmartPak – what sort of wicked fun are you cooking up this Halloween? Tell me in the comments or share your photos to our Facebook wall! 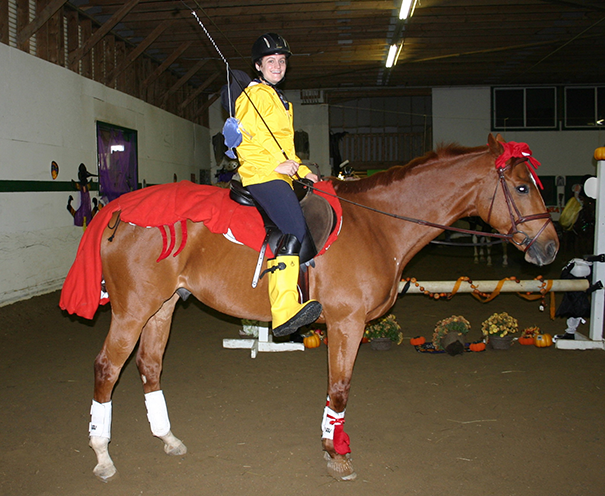 This costume is a real problem-solver – thanks to your fisherman’s slicker, you don’t have to worry about rain on Halloween, and the lobster tail is a smart way to keep a cold-backed horse happy through all the trick-or-treating fun! 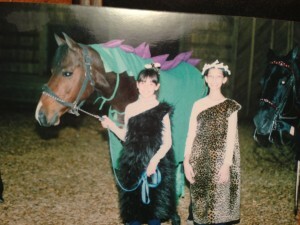 My horse Cody would stand patiently, and quite bored, while I put this costume on. But the thought of what he’d do when he tried to take a step forward is more terrifying than all the Friday the 13th movies combined. 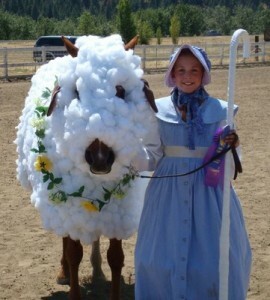 The fact that this milkmaid is not even wearing a helmet has me convinced that she is, in fact, riding a horse statue. 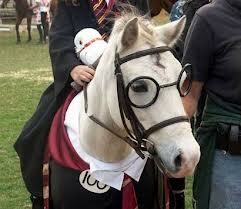 Got a horse that’s not impressed by the idea of dressing up? No worries! 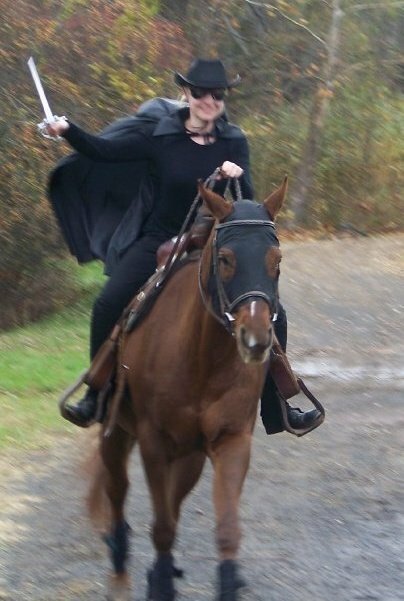 This clever costume requires minimal participation from your equine partner, and if he or she starts rearing at the sight of the cape, you can claim it was careful stunt training, as seen on all the Zorro posters and books! 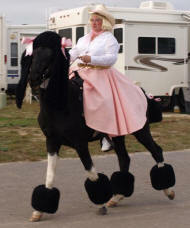 While I think this would work better as an in-hand costume (seriously, who is out there riding their poodle? 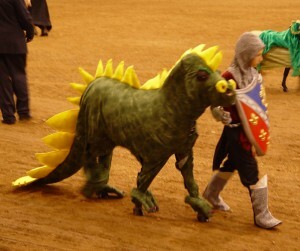 ), a horse with floppy ears was too cute to ignore. I hope something in there was inspiring, helpful, or at least made you laugh. 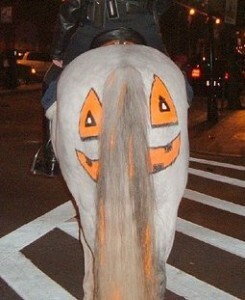 And keep in mind, if your horse has embarrassed you recently, perhaps by ditching you in a big mud puddle, Halloween is a perfect opportunity to return the favor.